In terms of identity, the Nintendo 64 is best known for being the first major home console with native 4-player multiplayer. Games like Mario Kart 64, Goldeneye, Perfect Dark, and Super Smash Brothers brought gamers together in ways that had never been experienced before. At the same time, however, the N64 is known for having a drought of single player experiences, especially in the realm of RPGs. Sony’s Playstation took the world by storm, gobbling up Nintendo’s previous RPG market, taking publishers like SquareSoft and Enix away from the Big N’s hands. For RPG fans, the N64 is nothing but a footnote in history – the era when RPGs began calling Playstation their home. But even in the midst of the driest of deserts, an Oasis can be found. Places where fresh water can restore a person’s soul and keep them marching on into the sandy wasteland until the next respite can be found. On the N64, the RPG Oasis includes some truly stellar games, and a few we might rather forget ever existed. 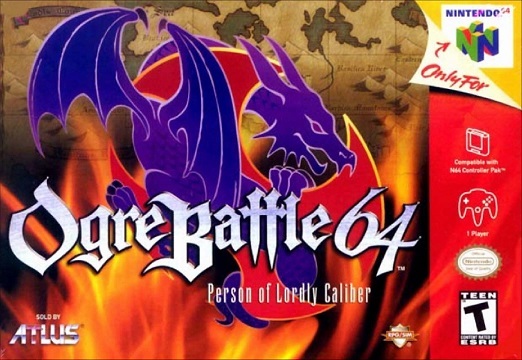 One of the best RPGs to grace the N64 is undoubtedly Ogre Battle 64: Person of Lordly Caliber, the third game in the Ogre Battle series. The game chronicles the central character, Magnus Gallant, as he finds himself embroiled in a revolutionary civil war. Depending on the players’ choices, one of six endings may occur, some finding Magnus leaving his nation in disgrace, while others see him rise to power and renown. The combat system offers an interesting mix of real time strategy elements, featuring dozens of units on the field of battle, along with a semi-real time encounter system for when two opposing units meet. Between battles, players are treated to Ogre Battle’s signature class system, allowing them to manage their units and customize their team to their liking. At the time of release, Ogre Battle 64 received critical acclaim and has since seen rereleases on both the Wii and Wii U Virtual Console. As Mario 64 transformed the platformer and brought it into the 3D space, Quest 64 attempted to do the same for RPGs – though with markedly less success. 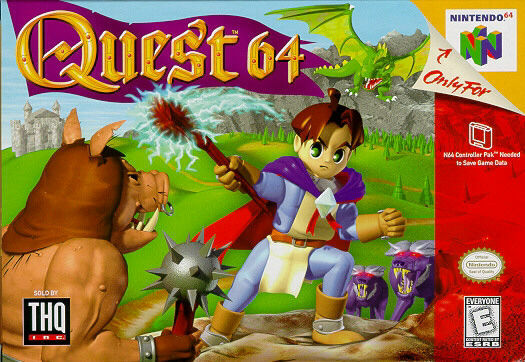 By all outside appearances, Quest 64 is a charming addition to the N64’s limited RPG library. The game follows a young mage, Brian, as he sets out on a journey track down his missing father. The polygonal world and character models will remind players of Mario 64 and Ocarina of Time, and the combat system operates as a simplified, 3D version of that found in games like Chrono Trigger or Black Sigil: Blade of the Exiled. All battles take place on the main map, as Brian is free to move around a limited circle and make attacks on an enemy at either close or long range. He uses the power of fire, water, wind, and air, and can upgrade his spells through continued use of a given element, or through specific upgrades discovered in the game world. Despite its promising core design, Quest 64 never quite rises beyond its initial offerings. The game lingers in the shallow water on all fronts – story, combat, progression, and exploration – leaving players wondering what might have been if the developers had been more creative or more experienced in building quality RPGs. 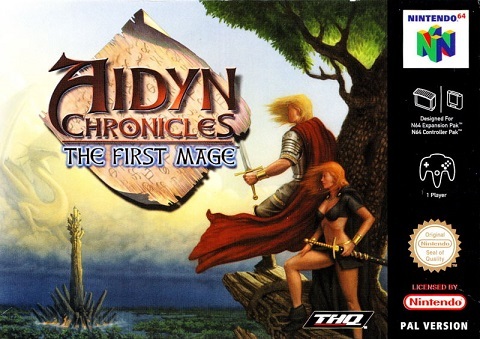 Probably the black sheep RPG on the black sheep console of RPGs, Aidyn Chronicles: The First Mage stands as a more serious and somehow less engaging sister title to Quest 64. With a similar combat system and core design, Aidyn Chronicles nevertheless manages to be worse in almost every way. The storytelling lacks charm, the graphics are clunky and lacking in personality, and the story and gameplay were best described by IGN as a “tedious experience.” The game certainly strives for greatness, but ultimately fails in the first job every RPG must complete – immersing the player in the game world. 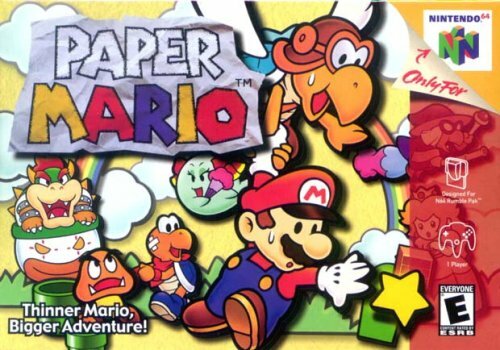 Considered by many to the crown jewel of the N64’s RPG library, Paper Mario continued where Super Mario RPG left off, bringing a fresh take in role playing while avoiding all the temptations other N64 titles struggle to avoid. Paper Mario skips over the blocky polygons seen in most N64 titles, in favor of a storybook design to give Paper Mario a timeless quality that endures to this day. No attempts were made to revolutionize the tried and true combat system of SNES era RPGs – two parties line up and bash away turn after turn until one side stands victorious. Infused with all the charm Nintendo can muster – which is considerable – Paper Mario offers RPGs fans engaging characters, smooth combat, a healthy dose of humor, and just enough exploration to keep you wondering where the next secret could be. All told, Paper Mario stands as THE RPG to play if you find yourself wanting to explore the N64’s tiny library of role playing games. The rest of the library is filled out by games with RPG-elements, though most are debatable if they could be considered true RPGs or not. This includes juggernauts like Ocarina of Time and Majora’s Mask, along with titles like Harvest Moon and Gauntlet Legends. Any way you slice it, the pickings were slim for RPG fans on the N64, but even such a limited console has a few gems to offer – if you only know where to look.